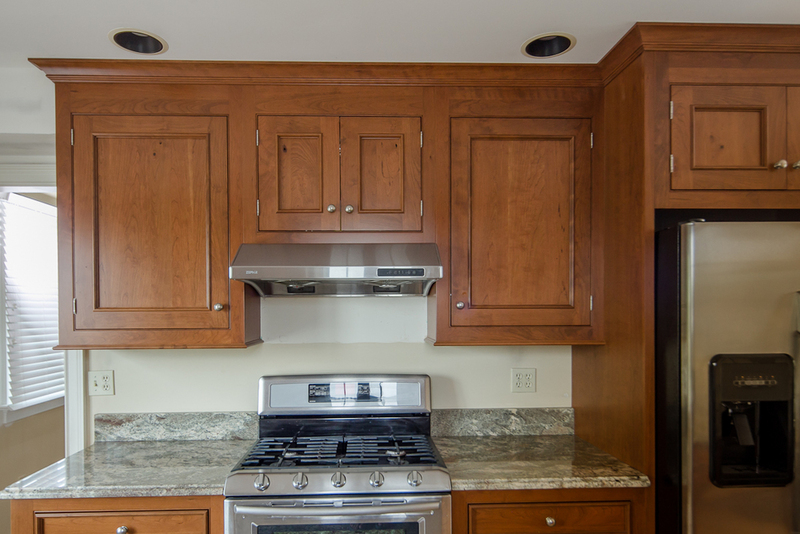 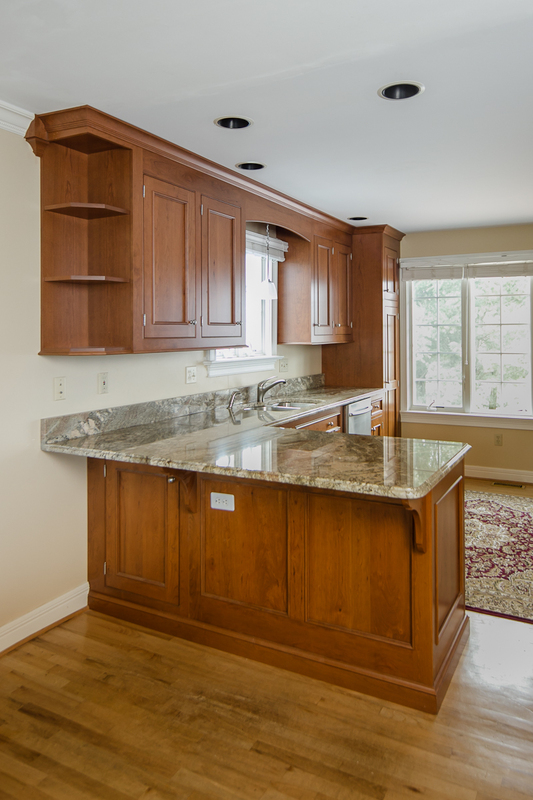 The existing custom cabinetry in this Fairfield CT kitchen was worn and outdated, with an owner who wanted a completely new look. 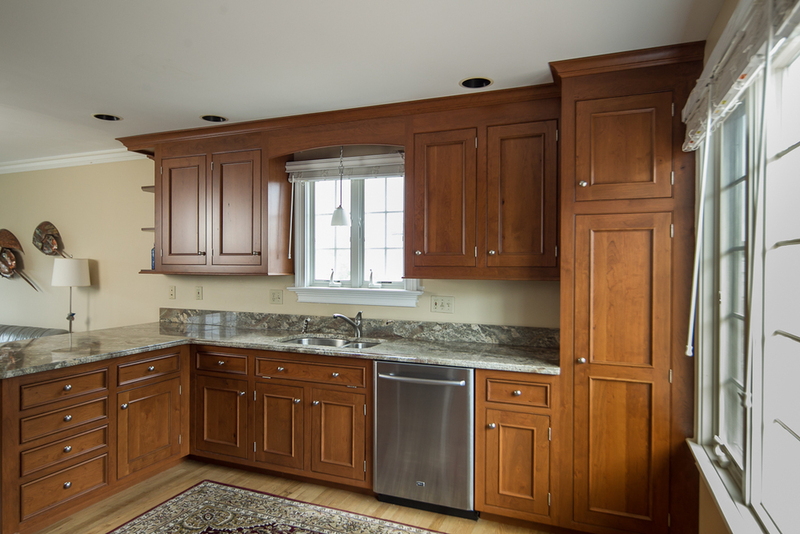 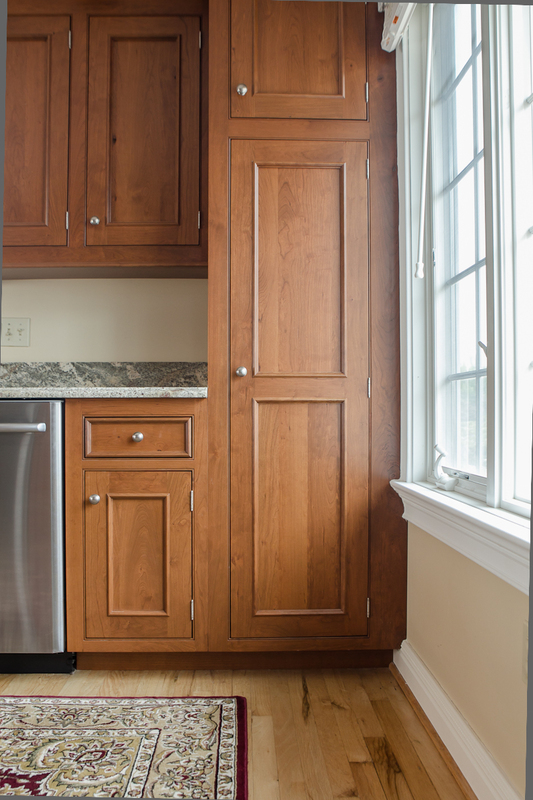 We worked with our client to select a warm-brown, knotty cherry that would bring a rich complexity to the kitchen area. 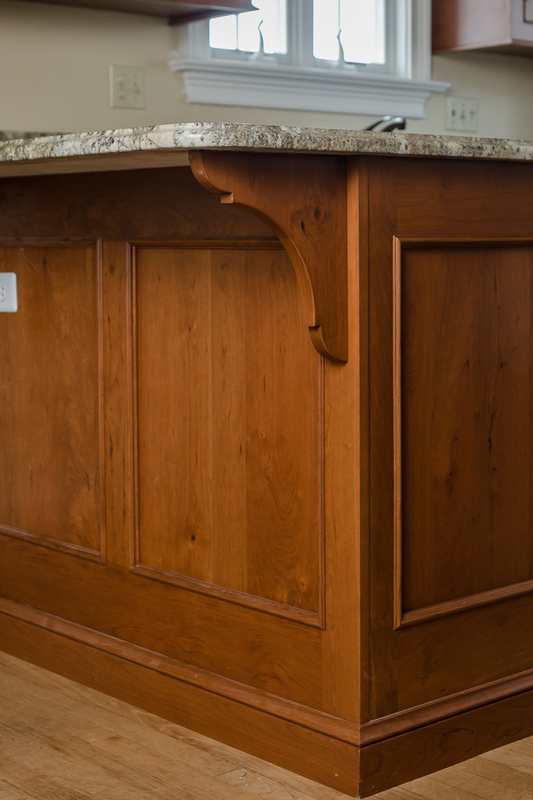 Through distinctive door style upgrades, inset hinging, wainscot paneling, and detail moulding below the upper cabinets, this kitchen has become a dynamic and handsome hearth.